Now, choose your subdomain name. 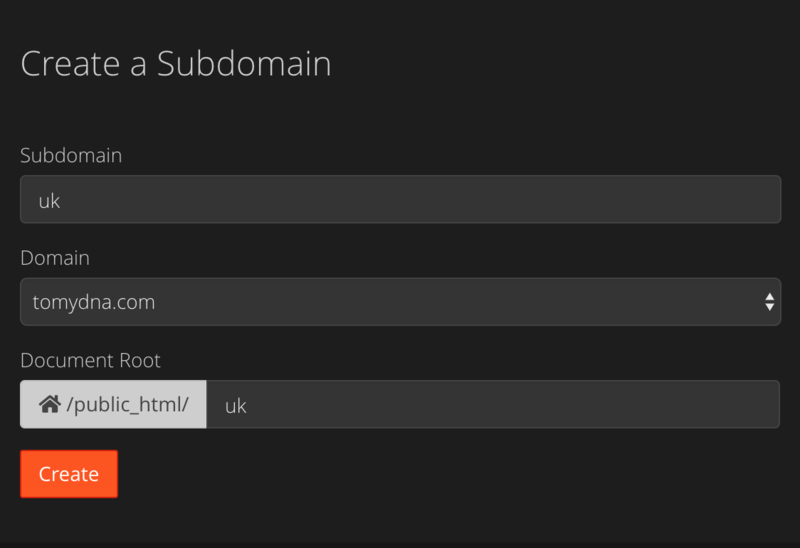 Then, choose the root domain that you want to use for this subdomain. Below that, you must also choose the name of the folder that will host your website. It is very important to choose a folder that will be easy to remember. By default, Cpanel populates this field with the subdomain name but I guess it does not mean a lot to you if the folder is called by the name of the subdomain like uk fr hk so it is better to change it. When you will press create, cpanel is going to do different jobs. It will create the subfolder on your web server. It will create the DNS records for the subdomain to be accessible. It will create a subdomain entry for the SSL certificate. Now, you are ready to install a CMS like wordpress on that particular subdomain using softaculous.